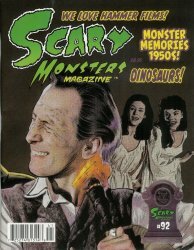 Scary Monsters magazine #92, April 2014, We Love Hammer Films issue! Why I Love the Brides of Dracula! Three More Triumphs for Hammer! Collectors Note: Photo is scan of actual magazine.